What's your mother mountain? One climber once said that when someone says mother mountain, it is the first that one has ever hiked. 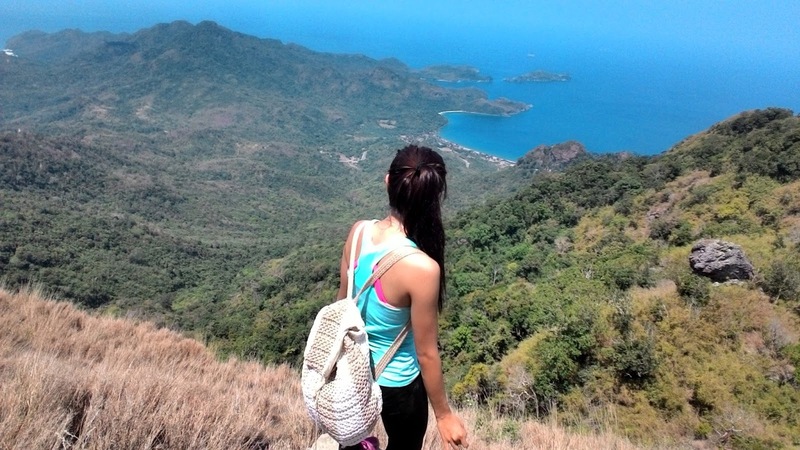 Why did you hike in the first place? Out of curiousity? envy? Or was it a calling? 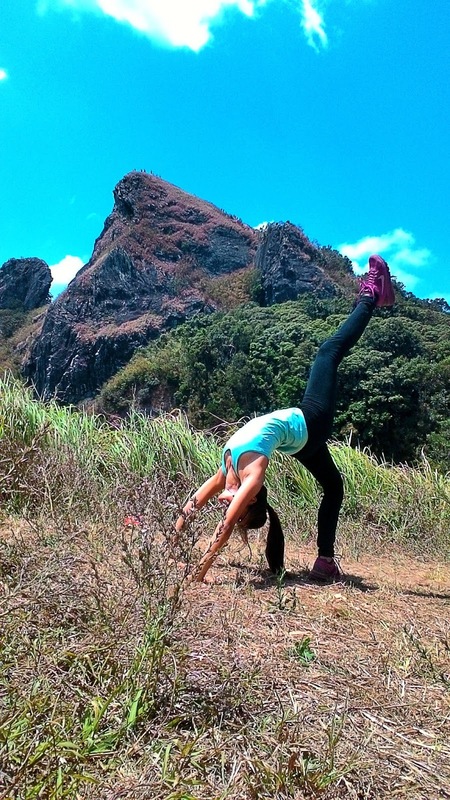 Do you do recreational hiking or you do it for a purpose or advocacy? See I once lived in the outskirts of Cavite and I can always see this Mt. 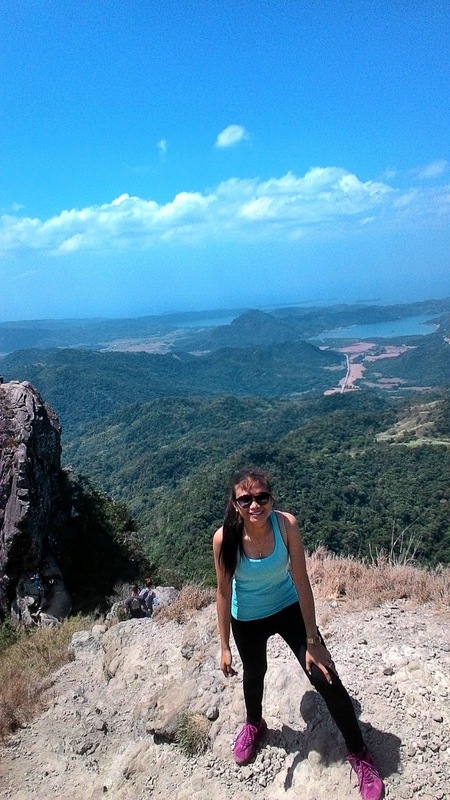 Pico De Loro and it meant nothing to me. It was just a mountain, yes? It WAS just a mountain. 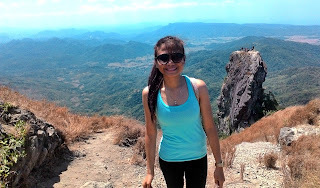 Well, God knows how much I love going to beaches and get that tanned skin every summer.But last February 2016, as we were strolling down the road to Kaybiang Tunnel, the summit of this mountain caught my attention. And then I said to myself, I'll come back for you. So mine was hiking out of curiousity which later turned into life. And boy, I did, the next month. 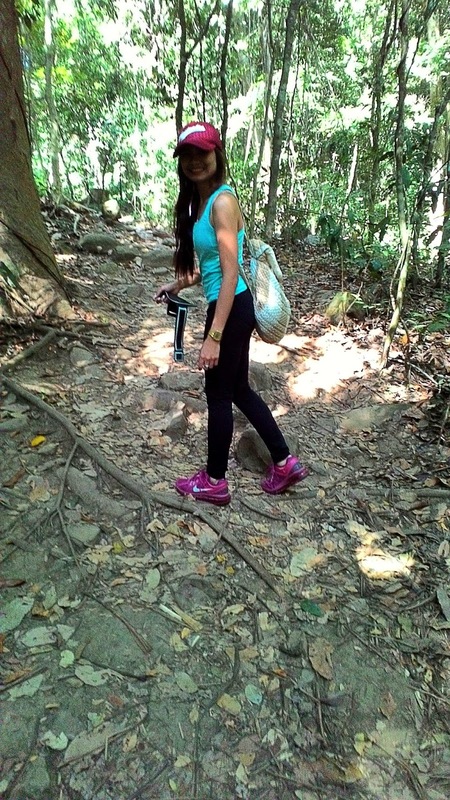 See, I don't know much about hiking so I went there with a knapsack, wearing sleeveless top, black jeans and on my airmax which I thought was okay since it's waffle sole; in which for such minor climb would, I think, be okay. I was there with my uncle. It was a 20-30 minute drive from Ternate town proper. We were riding a motorcycle. But to those who are planning to go DIY, riding a tricycle from the town proper to the jump off costs 500php.The environmental fee costs 20php. Then we're off! We didn't bother getting a tour guide because my uncle had been there for so many times. Tour guide costs 500php by the way for 4-5 persons. If you're gonna be more than that, it's going to be a hundred bucks per head. Pico de Loro is a minor climb of 669 meters above sea level with trail classes 1 to 3. It has a 3 over 9 difficulty with minimal assaults, in which the most remarkable one is the climb to the summit and the monolith. It is also known as Mt. Palay-Palay and Parrot's Beak due to the summit's shape. It features rainforest making the climb less hassle since the tall trees obscure the sunrays. As we progress, we saw wild monkeys up on the trees, too. The trail is basically just like this. The hike lasted for 2 hours with few rests. Good thing my workout is usually on cardio making it easy for me to keep up with my uncle's phasing. Before we reached the summit, we were at the campsite where there was a store selling delicious halo halo! Maybe it was delicious because it was a tough hike for me lol. From that store, it took us 30 minutes to the summit which is just near. The problem was there were no ropes that the hikers could hold on for salvation. THere were nothing but rocks and deep rooted grass that one can hold on to while creeping their ways to the summit. The loose soil brought extra challenge, too. After struggling, I finally reached the top and couldn't believe my eyes. The last time I've been somewhere as high as that one was when I was on a skyscraper. But this time, it's solid rock with a view of the oceans and vast land below. I can see the other mountains, ridges and ranges from afar that I promised myself I will be up in there soon!My uncle took photos of me. He asked me to stay here and there as he captured my poses. My knees were shaking of course! I looked at the other side and saw people climbing up to the monolith fearlessly. I said I couldn't go there. But I will, soon...on a revenge hike.lol.After staying there for an hour, we descended because the crowd is getting larger. It took us 30 minutes going down through trail running. It was quite easy going down running than going up trying to steady my breath! Here's a photo at the campsite! Summit's right there! 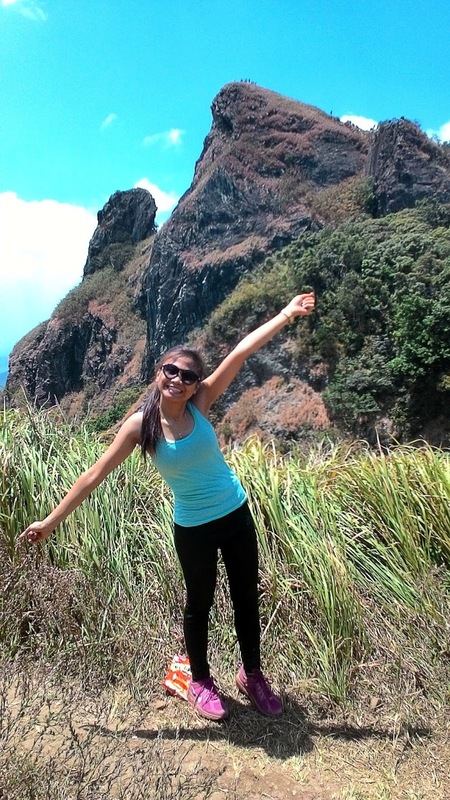 This hike is the dawn of my signature pose. Lol. The climb to summit made me exhausted. No ropes, judt grass and prayers. Look at that view! This made me want to come back to the summits for more! -From Taft, ride a bus going to Alabang/ Alabang South Station and ask the driver to drop you off Zapote. -From Zapote, ride a bus going to Maragondon or Ternate. Look for Fafi and Saulog bus liners. -Another option would be ride a bus at Coastal Mall going to Nasugbu, Mendez or Alfonso;From Buendia, you can ride a DLTB bus going to Nasugbu; From Ayala (Makati) ride Eljohn Almark bus going to Mendez, then ask the driver to drop you off Dasmarinas City. From Pala-Pala Dasma, follow the route 1 as suggested below. -from Maragondon Elementary school, ride a tricycle going to Ternate. If they will agree, you can also ask them to send you to the jump off but it will cost 700-800 pesos. If not, ask the tricycle driver to drop you off Ternate town proper and then ride a tricycle going to the jump off which will cost 500php. -Always greet the people you'll come accross with. Just because they greet you it doesn't mean that they like you or attracted to you, oh please. I don't known if it's opened again to the public because it was closed for 'renovation' at the third quarter of 2016. However, when we passed by the jump off we saw a tarpaulin with the words "Private Property" on it.